They had their first U.S. hit in 1971 with "You're a Big Girl Now". Signing to Avco Records, The Stylistics began working with producer Thom Bell, who had already produced a catalogue of hits for The Delfonics, and songwriter Linda Creed. Bell imported the sweet soul techniques he had perfected with The Delfonics, and his arrangements worked perfectly with Thompkins' falsetto. The bittersweet lyrics from Creed were a key factor in creating hugely memorable music. Their hits, distilled from three albums, from this period included "Betcha by Golly, Wow", "I'm Stone in Love with You", "You Make Me Feel Brand New" featuring a double lead with Love, "Stop, Look, Listen To Your Heart" and "You Are Everything". "You Make Me Feel Brand New" was the group's biggest U.S. hit, holding at #2 for two weeks in the spring of 1974, and was one of five U.S. gold singles the Stylistics collected. 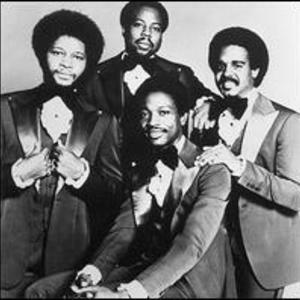 The Stylistics' smooth sound also found an easier path onto adult contemporary airwaves than other soul artists, and the group made Billboard magazine's Easy Listening singles chart twelve times from 1971 to 1976, with three entries, "Betcha By Golly, Wow," "You Make Me Feel Brand New," and "You'll Never Get To Heaven (If You Break My Heart)" reaching the Top 10. The group split with Thom Bell in 1974, and the split proved devastating commercially to the group's success in the USA. Just as with The Delfonics, The Stylistics were to some extent a vehicle for Bell's own creativity. They struggled hard to find producers who could come up with the right material, and partnerships with Hugo & Luigi and Van McCoy were notably less successful. They left Avco for H&L Records and the Stylistics' popularity rapidly declined in the U.S., though their British popularity continued for the rest of the 1970s. In 1980, James Dunn departed due to health problems, and James Smith left shortly thereafter. The group continued, recruiting new member Raymond Johnson, and releasing the album Some Things Never Change, in 1985. Johnson departed shortly afterward, leaving the group a trio. Love, Murrell, and Thompkins continued to tour until 2000, when original lead Thompkins left. Love and Murrell brought in two new members, Harold "Eban" Brown, formerly of the Delfonics, as lead ( who sounds amazingly like a young Russell Thompkins), and tenor Van Fields. The present group is featured live on the DVD's "The Stylistics Live at the Convention Center" (2006), as well as along with other artists of the '70's on the DVD "The Big Show." In 2004, Russell Thompkins, Jr. started a new group, the New Stylistics, with the returning Raymond Johnson, James Ranton, and Jonathan Buckson. They are featured on the DVD "Old School Soul Party Live!," which was part of the PBS "My Music" series. The Stylistics' catalog of hits have been mined frequently by other artists in recent years. Notable examples include "Betcha By Golly, Wow" covered by Prince, "You Are Everything" remade by Vanessa Williams, and "You Make Me Feel Brand New" redone by Boyz ll Men Roberta Flack and Simply Red. Mary J. Blige also used the chief line from the chorus of "You Are Everything" ("You are everything, and everything is you") in her 1997 hit "Everything." In 2006, Letoya Luckett used a similar sample to the background track of "You Are Everything" for the music to her hit single "Torn."